…or green p, as they are called by the natives. It is not very shy, rather curious and so you find it flying around you almost everywhere. Mostly they tend to seat on a low tree or cable and catching insects out of the air. 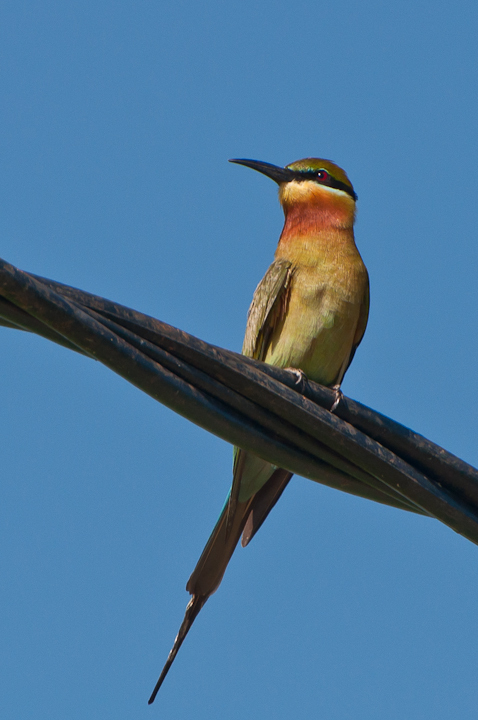 Green-Bee-eater, so hi sofficial name in the rest of the world.